The master is back. A Brand New Stromberg 97 Carburetor exact in every detail. 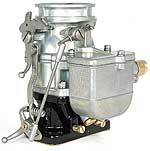 Stromberg Carburetor - New Stromberg 97 Carburetor for vehicles with a cable choke, e.g. Ford Pilot. New Stromberg 97 Carburetor, beautifully Chrome Plated to take pride on your engine, or what a great ornament in your home. Limited edition Stromberg Carburetor in black and chrome finish - As per the 9510A Stromberg 97 Carburetor exact in every detail. Check out the new Barn Find Stromberg Carburetor - A brand new Stromberg 97 but with that aged look. A brand new Stromberg 97 but with that aged look, together with cable choke operation. Brand New Stromberg 97 Carburetor exact in every detail, complete with a vacuum port base installed. The BIG97 Stromberg Primary features 250cfm airflow with significantly improved fuel circuits, and provides ported vacuum for your modern aftermarket distributor. It can be used on its own, in multiples (with direct or progressive linkage) or as part of the BIG97 Tri-Power. All Genuine 97 on the outside, totally new on the inside. BIG 250cfm airflow - 55% more than a regular 97. New power valve circuits improve fuel conditioning. New early plenum effect boosts top end power. Ported distributor vacuum adds mid-range torque. BIG97s with this alternative LZ-style push throttle bracket. Regular BIG97 models use a standard 97 throttle end bracket, set up to pull the carburetor open from the firewall pedal linkage. On some models, such as selected Mercury and Lincoln Zephyrs, however, the pedal linkage pushed the carburetor open. That's why we offer this push style throttle. Chrome version of the BIG97s with this alternative LZ-style push throttle bracket. The All-New BIG97 Tri-Power. Black & Chrome finish. On the outside, its Genuine 97 all the way. But on the inside, were talking the ultimate 750cfm hot rod Tri-Power, with new improved fuel circuits, ported distributor vacuum and a whole lot more. Add our progressive linkage and classic 3-into-1 fuel lines and youre looking at old school carburetion with next level performance and drivability. New Stromberg 97 base with ported vacuum fitting, provides ported vacuum for your distributor. All new and complete with throttle shaft and plates, kicker, choke lever and idle mixture screws. Upgrade your throttle cable with the coolest end clip around! With its stainless steel body and black painted clip, the Stromberg Rocket Clip works with all popular throttle cable kits. Stromberg Carburetor - Accelerator pump rod for 40 and 48 - stainless steel 3 1/4" centres. Sizes in stock: 033, 036, 037, 039, 040 and 041, other sizes are to order. Stromberg Carburetor - Premium jet wrench. Stainless steel with knurls for good grip and a CNC milled end for a super fit. Cheaper wrenches have a punched end. This will last a lifetime. Sizes 60 to 71 available. 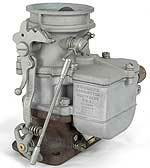 Stromberg Carburetor - Accelerator pump for the Stromberg 81. What a beauty - with correct 10-finger brass spring washer beneath a leather seal. Pack of six Stromberg Carburetor - Carb to manifold gaskets. 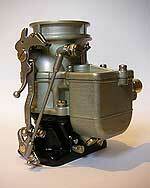 Stromberg Carburetor - Brass float. Made on the original Stromberg vendor tooling. And supplied with a new float pin. Stromberg Carburetor - A perfect replica - in stainless - of the late model 97 choke kicker assembly for cable choke (designed for '49-on Fords). A separate bracket - included - mounts off the rear body screw to hold the cable sleeve. 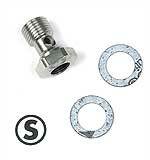 Stromberg Carburetor - Superseat hose fitting. The only one available with the correct 18 degree seat for Stromberg inlet fittings (original or S-jet). So no leaks and period looks too. Big 9/16 AF hex cost us more to make but looks right on the hose. Perfect for 5/16 ID hose but 3/8 ID hose also clamps up great. 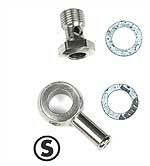 Stromberg Carburetor - Chrome Superseat hose fitting. The only one available with the correct 18 degree seat for Stromberg inlet fittings (original or S-jet). So no leaks and period looks too. Big 9/16 AF hex cost us more to make but looks right on the hose. Perfect for 5/16 ID hose but 3/8 ID hose also clamps up great. Stromberg Carburetor Ford Nut set of 3 with Ferrules. Stromberg Carburetor Chrome Ford Nut set of 3 with Ferrules. Stromberg Carburetor - Stromberg banjo fitting single end Stainless steel. How cool are these! For perfect proportions, we make them from big diameter material with a recess lip on each side to hide the gasket and move the bolt head moves closer to the banjo. We kept the wrench surfaces short, knocked the corners off the hex and rounded the bolt head too. Theyre sized to fit both 5/16inch and 3/8inch hose, with plenty of fuel flow guaranteed. This is the same as the 9083K-G but hand buffed to match your chrome 97s - with an 1/8th NPT hole for your hot rod fuel pressure gauge. 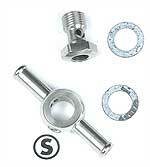 Stromberg Carburetor - Stromberg banjo fitting double end Stainless steel. Just as awesome than our single end version. But with two ends for through flow. Remember where you saw them first. All the benefits of our super-popular double-end banjo fitting, but with an 1/8th NPT hole in the end of the banjo bolt to accept your hot rod fuel pressure gauge. All the more important with Stromberg 97 carburetors because you need to ensure 2.5psi max. They're sized to fit both 5/16inch and 3/8inch hose, with plenty of fuel flow guaranteed. On Ford flathead applications, check for gauge clearance on your top radiator hoses. Note: To provide safe clearance with a 3x2 progressive linkage, banjo fittings must be used with our stainless banjo spacers (9086K). All direct linkages - 3x2 and 2x2 - clear OK without spacers. Stromberg Carburetor - Show polished version of the Stromberg banjo fitting double end Stainless steel. Just as awesome than our single end version. But with two ends for through flow. Remember where you saw them first. If you already have Stromberg banjos (9082K or 9083K) and want to add a fuel pressure gauge to your line, right at the carburetor, this is the bolt for you. The 1/8th NPT hole in the end of the banjo bolt accepts your hot rod fuel pressure gauge, which is all the more important with Stromberg 97 carburetors because you need to ensure 2.5psi max. On Ford flathead applications, check for gauge clearance on your top radiator hoses. Note: To provide safe clearance with a 3x2 progressive linkage, banjo fittings must be used with our stainless banjo spacers (9086K). All direct linkages - 3x2 and 2x2 - clear OK without spacers. If you want to use banjo fittings with your 3x2 progressive linkage, these beautiful, media polished stainless steel spacers are exactly what you need. They move the fuel line out one inch from the fuel inlet providing instant clearance for the long centre progressive linkage arm - check out the pictures. Our proven superseat end has the correct 18 degree seat for Stromberg inlet fittings (original or S-jet). And the short wrench surfaces matche the bolt head on the banjo. Stromberg Carburetor - SuperLink Throttle arm with screw. A new take on the traditional multi-carb linkage arm. Zinc die-cast with a modern H-beam section for strength, without weight, and a small reveal at the bottom edge for a period feel. The countersunk stainless steel screw matches those on the carb and threads directly into the arm. Stromberg Carburetor - SuperLink Throttle arm with screws and swivel. 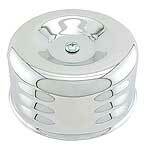 Adds a stainless steel swivel, secured by a small e-clip on the back. The cross hole is sized for the typical 3/16th diameter linkage rod, which is secured by a black knurled-tip grub screw. Like its shorter partners, 9096K is also zinc die-cast with a modern H-beam section for high strength without excess weight. The countersunk stainless steel screw matches those on the carburetor and threads directly into the arm for serious grip. And the stainless steel swivel is secured by a small e-clip, with a 3/16th diameter cross hole for the linkage rod and a black knurled-tip set screw. There are three adjustment/connecting holes in this lever so you can move the swivel to change your linkage leverage and pedal/throttle response. Our 9096K long lever with additional auto-trans kickdown capability - a 1/4"-UNF thread at the bottom end takes a Lokar-style kickdown cable end. Designed to be used in conjunction with our Cable Throttle Bracket (9136K), these arms are the foundation of all our 3×2 TwoStep progressive linkages (with kickdown), of course. We also include a 3/32" roll pin, so it can be drilled and pinned to the shaft for more positive location if required. Securely mounted between the carburetor and intake manifold, our Cable Throttle Bracket positions the cable for optimum, bind-free pull on the Stromberg progressive linkage. Compatible with most readily available hot rod cable throttle kits (e.g. Lokar). A fixing hole is also provided for the small extension bracket supplied with most hot rod auto-trans kickdown cable kits. And a separate side arm provides a mount for a traditional return spring. Again, the 'Lokar' parts are recommended. Our new stainless steel 'Snapback throttle return springs wrap around the end of the Stromberg throttle shaft and hook onto your linkage lever arm to snap your carburetors shut. Easy to install, they fit our 9090K and 9091K kits, and other carb lever arms. They're chemically blacked too, so they all but disappear from view. They're standard fitment with all Genuine Stromberg Two Step linkage kits. A Premium 2x2 Super carburetor linkage with rod ends for positive action, for use with intake manifolds that put the carburetors 9-1/8 inches apart. This Two Step linkage range combines clean, traditional looks with maximum leverage. Each kit comes pre-assembled and installs in just two simple steps, without the need for extended throttle shafts. Classic stainless steel 3-into-1 fuel line (Big Bore 5/16in OD) for Small Block Chevy 3x2 intakes, combines super-clean looks with simple TwoStep installation. Designed and manufactured exclusively by Stromberg Carburetor, each kit is supplied ready to install, complete with special 5/16in Ford Nut compression fittings into the carburetor. A high quality 3x2 progressive carburetor linkage designed for great looks and a positive action. Use with intake manifolds that put each carburetor 4-9/16 inches apart. A competitively priced 2x2 carburetor linkage with Superlink levers. Use with intake manifolds that put the carburetors 4-3/4 inches apart. See above for typical manifold applications. Designed and manufactured exclusively by Stromberg Carburetor, this linkage combines clean, traditional looks with maximum leverage. TwoStep linkage kits come pre-assembled and install in just two simple steps, without the need for extended throttle shafts. These kits are not a one size fits all solution. Different intakes use different carb spacing, so we modelled every kit in 3D CAD and offer different kits for specific intakes. If youre in doubt, simply measure your manifold spacing throttle shaft to throttle shaft. Works with all Stromberg 9141 TwoStep fuel lines. A Premium, CHROME 2x2 carburetor linkage with rod ends for positive action (click more for applications and details). Use with intake manifolds that put the carburetors 4-3/4 inches apart. See above for typical manifold applications. Designed and manufactured exclusively by Stromberg Carburetor, the TwoStep linkage range combines clean, traditional looks with maximum leverage. Each kit comes pre-assembled and installs in just two simple steps, without the need for extended throttle shafts. These kits are not a one size fits all solution. Different intakes use different carb spacing, so we modeled every kit in 3D CAD and offer different kits for specific intakes. If youre in doubt, simply measure your manifold spacing throttle shaft to throttle shaft. 4-3/4 inches from carb to carb. Show chrome/polished stainless steel finish. Extended throttle shafts not required. Fits Offenhauser 1090 & 1075 2x2 Regular intakes. Fits Edelbrock 1103 2x2 Slingshot intake. Fits Navarro 2x2 Regular intake. Fits Eddie Meyer 2x2 High-rise intake. 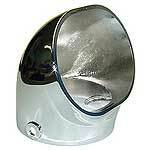 Fits Thickstun PM-7 High-rise intake. Works with all Stromberg 9141 TwoStep fuel lines. Designed and manufactured exclusively by Stromberg Carburetor, TwoStep Fuel Lines combine super-clean hot rod styling with simple installation. Each kit is supplied ready to install in just two simple steps. 1/4NPT 90 degree elbow from Stromberg Carburetor. 1/4NPT to 1/8NPT bush by Stromberg Carburetor. 1/4NPT to 5/16in hard line adapter by Stromberg Carburetor. 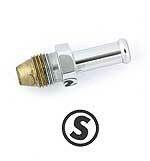 1/4NPT hex head plug by Stromberg Carburetor. 1/4NPT hose barb fitting by Stromberg Carburetor.